Webinars and white papers are great, but sometimes you want to get out into the world and rub elbows with the marketing elite. That’s where the top social media conferences and content marketing events come in. They bring together the best marketing innovators in some of the greatest cities in the world to help you conquer everything from optimizing your content marketing strategy to building your email list to exploring the newest trends of social sharing. So if you’re ready to get out from behind that computer and get your hands dirty — well, as “dirty” as you can in marketing — here are the 25 best social media conferences and content marketing events to attend in 2018. What: It’s like a carnival for social media enthusiasts! This social media marketing conference, hosted by Social Media Examiner, brings together over 170 speakers — including gurus like Guy Kawasaki, Jay Baer, and Ann Handley — to help content creators expand their reach with engaging social content. It’s made for any blogger, video creator, or podcaster who’s ready to harness the power of social platforms. What: Okay, this one is actually a carnival for social media lovers — because it takes place at the Yacht Club Resort in Disney World. It will cover topics like content strategies across social platforms, strategies for internal communications, and strategies for PR and marketing. And you won’t just meet high-profile marketers at the networking events, you might run into some Disney characters, too! What: Executives from Refinery29, LinkedIn, and Brunswick are getting ready to share their best social insights on this jam-packed day of conferences and networking opportunities. In the heart of New York, join Spredfast as they host sessions like What Content for Modern Consumers Looks Like and When Social Insights Drive Strategy Shifts: Making Game-Changing Use of Data. What: Become a better marketer at “the #1 social media marketing event for senior-level corporate professionals.” It promises to provide new case studies from top brands, networking opportunities, and helpful templates for your strategies. And if you can’t make it to the Midwest, summits are held in New York and San Francisco as well. What: Canada’s largest social media conference is back for its ninth year, offering a look at the latest social techniques as well as the cultural and societal impacts of social media. So if you’re up north this Spring, why not enjoy the good weather and head to camp? What: The Social Shake-Up aims to “overthrow the status quo and redefine what social media means” for your business and your brand. 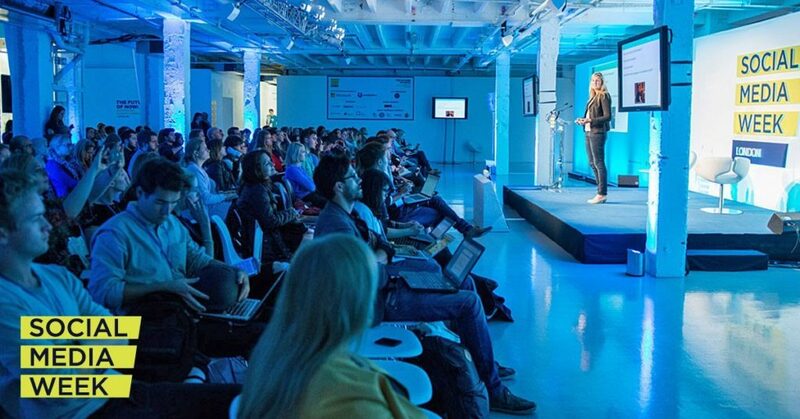 Sessions at this even will tackle topics like live-streaming, SEO, storytelling, and Snapchat. Standout speakers include BuzzFeed’s Director of Video Growth Analytics, IBM’s Social and Influencer Communications Lead, and Facebook’s Head of Global Production. What: Social Media Week New York might be more buzz-worthy, but let’s give some love to the Los Angeles social media conference since it’s one of the only events on this list held in the city. Unsurprisingly, it features speakers from entertainment brands like SoulPancake, The CW, and BuzzFeed Motion Pictures. But with videos being a major trend in digital content, that’s really not such a bad thing. What: The ICC offers three days of courses on content strategy for marketing professionals. They’re designed to help you scale your content, find the right technology, and reach target audiences across devices. Featured speakers include Robert Rose, Chief Content Advisor of Content Marketing Institute; Andrew Gordon, Pixar Animator; Shawna Darlin, Senior Marketing Manager of Microsoft. What: Storynomics is a boutique and valuable content marketing event that explores how storytelling hooks audiences and grows businesses. Skyword and Robert McKee team up to present the Storynomics Seminar and workshop for business leaders in Los Angeles, Washington, D.C., New York, and Boston. What: Presented by Uberflip, this content marketing conference is made for people who want to build better content experiences for their buyers and audiences. Notable perks include the price tag — it’s generally more affordable than other conferences on this list — and the setting in one of Canada’s most beautiful cities. What: Content Marketing World is one of the biggest industry events available, with over 4,000 attendees and 120 sessions to help you boost your approach to content. While the schedule is still being finalized, they’re teasing workshops like Video Marketing Makeover, Marketing Writing Master Class, and How to Succeed in Blogging. What: The 2018 programming hasn’t been announced yet, but INBOUND has already hosted sessions with Michelle Obama, Seth Godin, Issa Rae, and Rand Fishkin. 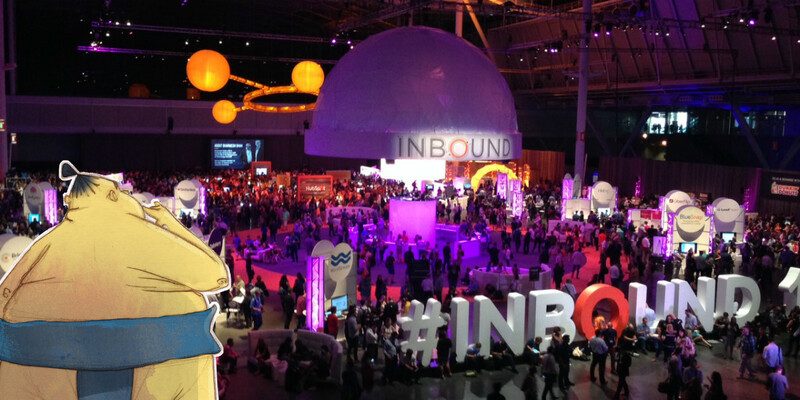 If that’s any indication, this year’s event is sure to spark meaningful and industry-defining conversations around what it means to be an inbound marketer. 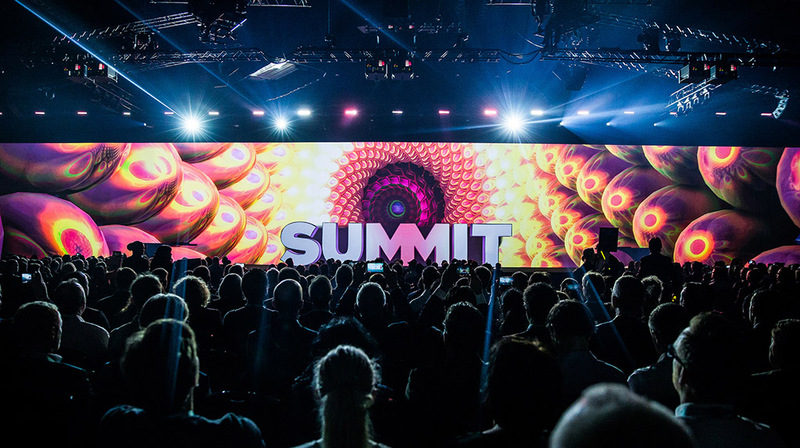 What: Boasting speakers like Richard Branson and Leslie Jones, the Summit is a five-day marathon of marketing events that help you put your customer first. Sessions cover everything from data management to personalization. And since it’s a high-profile event, you can rub elbows with marketers from Coca-Cola, NBC, and AT&T. What: How many opportunities do you get to see marketing talks at the Country Music Hall of fame and Museum? It’s not your typical convention center, that’s for sure. So take this chance to soak up the southern hospitality with marketing events from best-selling authors, entrepreneurs, software executives, and social influencers who are ready to share their secrets to success. What: This event has been running for 15 years now, and it’s still one of the most buzzed-about conferences in marketing. Past speakers include Sheryl Sandberg, Arianna Huffington, Lin Manuel Miranda, and Ira Glass, who shared their tips for capturing people’s attention and building loyal audiences. And, hey, if you can’t make it to New York, Advertising Week holds events throughout the year in cities across the world, including Sydney, Tokyo, Mexico City, and London. What: This MarketingProfs event is “more than just a quirky (not-so-little) conference.” It’s a chance for B2B innovators to catch up on industry trends and share their trade secrets. Speakers and events haven’t been announced yet, but we do know it’s at an awesome spot in downtown San Francisco, where you can check out Fisherman’s Wharf while planning your content strategy. What: Formerly the Shopper Marketing Summit, this marketing conference — hosted by the Path to Purchase Institute — aims to help marketers better navigate the retail industry. It brings leaders together to “re-imagine the future of commerce” and define what it means to be a retail marketer. It’s also home to the Shopper Marketing Effie Awards, which is given for campaigns that effectively solve shopper marketing challenges. 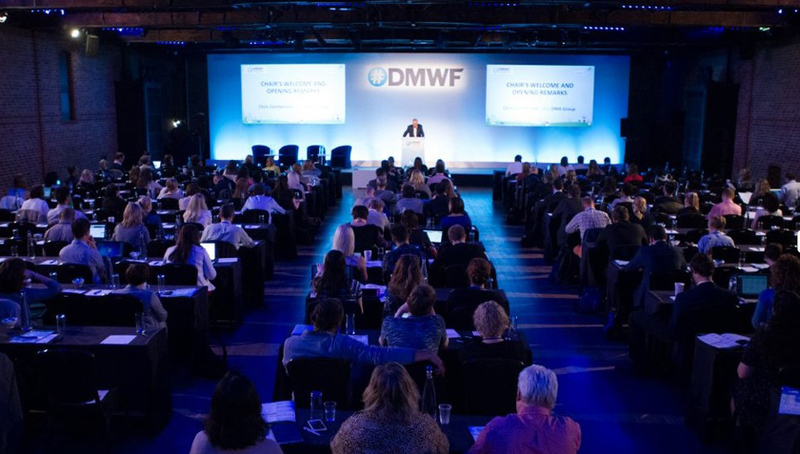 What: Digital Marketing World Forum offers two conference tracks at this global expo: Content & Social Media Marketing and Data, Disruptive Tech & UX. Take your pick to boost your strategies and hear from speakers like Microsoft Storyteller Miri Rodriguez, McDonald’s Social Media Editor William Bonnadio, and Birchbox Marketing Director Janis Thomas. 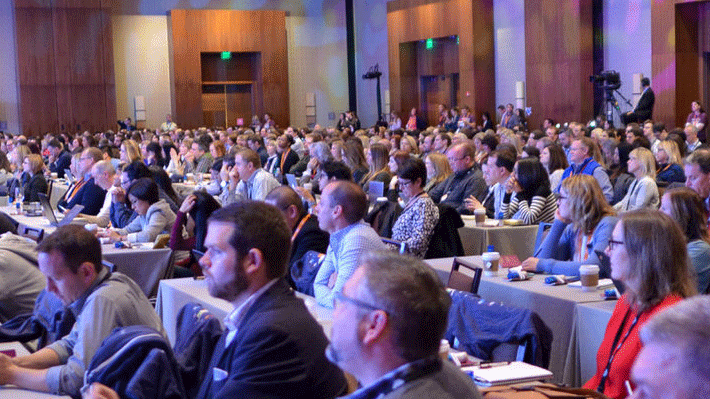 What: Incite Group’s big marketing conference kicks off with over 50 speakers and 30 sessions from some of the world’s leading marketers from brands like Levi’s, National Geographic, and GE. Take your pick from talks about the science of storytelling, personalizing customer journeys, and the future of social media. What: Hosted by Digiday, this summit explores how artificial intelligence and machine learning are already transforming the marketing world. Speakers from brands like Equinox, HP, and Samsung will share how they use these new technologies to improve customer service and content curation. What: Have you ever seen that crazy supergraphic of all of the marketing technology tools in the industry? These are the folks behind that viral infographic. And they’re serving up a suite of marketing events for technologists trying to survive in a software-powered marketing world. The conference also notably include The Stackie Awards, which honor the best in marketing technology stacks. What: One of the largest tech conferences in the world is happening in the capital of Portugal, bringing together over 60,000 attendees and 1,200 speakers from 170 countries across the world. Forbes calls it “the best tech conference on the planet,” and The Guardian calls it “Glastonbury for geeks.” And with good reason. It’s featured talks from powerhouses like Elon Musk, Reed Hastings, Stephen Hawking, and Jack Dorsey, and exhibits from Google, IBM, Amazon, Facebook, and BMW. Aside from attending top social media conferences and social media meetups, you can stay abreast with industry trends by subscribing to our monthly newsletter. We’ll share the latest news, tips, and thought-leadership content to help you stay on top of your game!